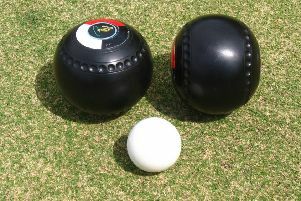 Tanfield were worthy champions of Division 2 of the Alpha Trophies-sponsored Edinburgh Bowling League and were joined back in the top-flight by runners-up Pilrig. Having dropped down to Division 2, there was a time early in their 2015 campaign that Pilrig were flirting with a spell in Division 3. However, they whizzed up the table and, while too late to threaten their old foes Tanfield for the title, they ended the dreams of second-place challengers Postal and Goldenacre. The final fixtures saw Pilrig needing a strong result at home to Goldenacre and they delivered the goods in great style with a 9-0 win. Postal – bidding to make Division 1 for just the second time – had the biggest hard luck story, being kept in third place by the frustrating margin of three points having finished their campaign with a 7-2 home win over Wardie.